This is one of our most popular bibliographies and documents the best books about travel and tourism. Included are narratives and academic work. We spotlight books on tourism and indigenous people and ethical travel. AUTHORS -- Authors and publishers are invited to consult Planeta.com's insider tips. 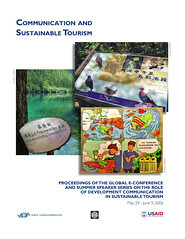 - The summary is now available from the 2006 Communication and Sustainable Tourism E-Conference. - One of our all-time favorite books now enters its 18th edition. The classic eco guidebook highlights environmental conservation, biodiversity, cultural heritage and responsible tourism. The current edition highlights agrotourism, community-based tourism and conservation efforts in Costa Rica's rural countryside. - Third edition! This is a recommended 'how to' business handbook that addresses practical strategies for ecolodge and service developers. Learn how to succeed without compromising environmental principles. - "In search of the true cost of our holidays"
- This book covers economic, marketing, planning and regulation issues and considers the role marine ecotourism plays in raising awareness of the significance of seas and oceans to sustanable coastal livelihoods. - This book examines the integration of local communities and tourism development. Its highlights the value of strategic planning and community empowerment. Case studies document how things work around the world. The author also wrote Film-Induced Tourism. 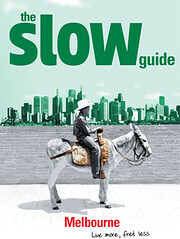 - Tim Leffel's Make Your Travel Dollars Worth a Fortune is 'the contrarian traveler's guide to getting more for less.' He articulates a vision of travel common to many travelers and difficult to relay to others. He calls it 'contrarian travel' and he's onto something. Tim's unique perspective into 'budget travel' highlights a respectful mode of immersion available to most travelers. - Cheap doesn't mean stingy. This book shows travelers where to get the most value in nearly two dozen countries. The author is a veteran international traveler and knows a number of tips for getting the most from your travel budget. This second edition is 40 pages longer than the first and is a terrific update. Also available as an e-book. - Funny, devastating, clever, The Gringo Trail is a riotous mix of humor and scandal. It documents the travels of three Brits who go to South America for different reasons. Could be a good movie! The definitive how-to book for world travel, Vagabond Globetrotting introduces readers to a great collection of resources and indispensable tips. Author Marcus Endicott is one of the pioneers in sustainable tourism and has written a book that stimulates and educates. - A masterpiece of travel writing, this book journeys along the backroads of the United States. The author says he wanted get to know the little towns and he recalls the extraordinary people who helped guide him toward a a greater sense of place. - This book analyzes how films change our perception of place and is the first definitive work about film-based tourism. Highly recommended. 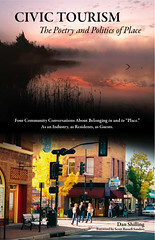 The author also wrote Community Development for Tourism. - Mainstream media usually gives Latin America a raw deal. What passes as "hard news" highlights violent crime, political uprisings and natural disasters, while "soft news" (particularly tourism features) tout escapism from cruise ship extravaganza to resort paradise. This book is a welcome contrast and documents the author's desire to explore natural wilderness. It is a first-hand review of ecotourism on the ground in the Americas and raises pertinent questions for travelers and locals. - Tropical paradise might be a victim of its own success. This book reviews the social and environmental impacts of tourism industry and explores how to bring greater benefits to the region. Whether Caribbean society is turned into entertainment spectacle or given new respect depends on creating more positive interactions among locals and visitors.. Academic anthology that introduces case studies from different parts of the world and illustrates chances and constraints associated with the implementation of ecotourism concepts. - This guide features the special places around the world that make vacations friendly for visitors and locals. - This anthology introduces the political and social implications of cultural tourism in a changing world. The book focuses on interpretation, authenticity and commodification, community participation and politics and cultural policy. - This book reviews tourism studies. - Ethical Travel Guide features local providers in 60+ countries and international operators. - This book presents a wide selection of readings, anecdotes and case studies. From the ethics of tipping to community participation, Tourism Ethics is highly recommended. - Second edition! Excellent overview of the pros and cons of tourism as seen from the perspective of indigenous people. A must-read. - One of the most influential books this year, this work examines the relationship of parks and Indian cultures. Remarkably, this story has not been well told -- until now. The authors point out that "one can find thousands of books about American Indians, a considerable body of literature about natural parks, but almost nothing linking the two." The book draws on extensive research and more than 200 interviews with Native Americans, environmentalists, park rangers and politicians. It also asks important questions such as what are the obligations owed to those displaced by park creation and do Aboriginal people have particular rights to their homelands? - "Ethnic tourism" in Chiapas comes under scrutiny in this well-written tome by anthropologist Van Den Berghe. San Cristóbal has long been one of the hotspots on the "Gringo Trail" but never has one book attempted to explore the impact with much depth. Published the same year as the Zapatista Uprising, the book could use an update, but as is, it's an enlightening and engrossing tale. - The founder of Lonely Planet recounts travels in some of the most dangerous countries in the world. 2008 Book of the Year Winner! - The chief challenge in the coming decade will be developing solutions that lessen the environmental impact of transportation. The editors of this anthology have prepared the first comprehensive examination of the relationship between tourism and climate change. It's recommended reading for tourism professionals and policy-makers. - This collection of short stories is composed by a pro. Lida weaves together dark tales of witches, run-aways, maids, travel writers and exploitative tourists. - Beautiful novel (and popular movie) about a self-centered travel writer who hates travel and anything out of the ordinary. - This Spanish-language novel is a mediation on the dangers of tourism development masquerading as ecotourism. Set in rural Costa Rica, the book attacks sham ecotourism as well as government and NGO bureaucrats reluctant to take a stand. Funny, sad, savvy and highly-recommended. - Analysis of environmental tourism planning within Mexico. The book also includes a review of international tourism charters and declarations. 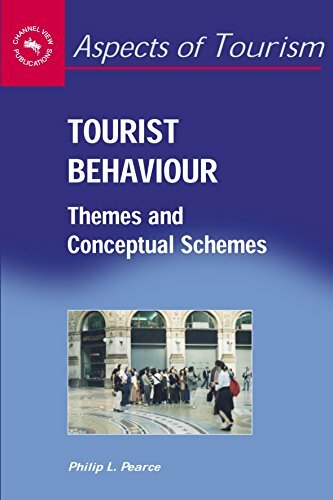 - This volume presents a tour of social processes which underpin contemporary travel. - Subtitled "The Challenge of Developing and Using Indicators" this anthology reviews practices of establishing 'benchmarks.' Kudos to the authors for emphasizing that sustainable tourism is a dynamic process. That said, the book could be improved if it took account traveler experiences and in particular the use of the Web as a tool for sharing on-the-ground experiences. - Sociolinguists and sociologists team up to explore the tourism experience, performance and authenticity. - Introduction to tourism in the United States, Mexico and Canada (Central America is excluded in this volume). Includes analysis of key issues, demand and supply and organization. - Researchers explain the 'tourism area life cycle' in heritage settings as well as the value of local involvement. - Researchers explain the 'tourism area life cycle' in spatial relationships and using the model in making predictions. - This anthology provides recent case examples focusing on rural tourism and sustainable development. - Particularly interesting chapters are Andy Drumm's "New Approaches to a Community-based Ecotourism Management," and Simon McArthur's "Introducing the Undercapitalized World of Interpretation." - This anthology reviews the role tourism plays in fostering wildlife conservation and developing responsible tourism in natural areas. 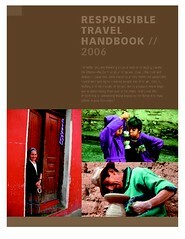 - This book is Planeta.com readers' choice for 2006 Travel Book of the Year. We would like to see more Lonely Planet authors at the helm, but there is no denying that the reviews are both lovely and inspiring. - Anyone who owns an ecolodge or who might want to build an eco lodge will be engaged by this book. Exceptional photos accompany a candid text that tells a great story. - Subtitled "A new theory of the leisure class" this is a reprint of a well-regarded classic in the field of tourism. - Great ideas for outdoor travel in North America. 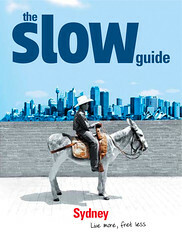 This book features more than 100 unique getaways. From backcountry huts to state-of-the-art ecolodges, there's something for everyone who loves the outdoors. Well-researched and well-designed, this book is highly recommended. - This work combines the details of a scientific field guide with anthropological research. The result is outstanding. The author discusses the animals and plants most commonly seen in Mundo Maya. The book provides a synthesis of current research and will delight specialists and travelers alike. Excellent! - An introduction to the concept of marine ecotourism, assessing its value as a sustainable development option. The first section examines the major issues involved in planning and managing marine ecotourism. The second section examines a range of experiences, based on case examples from around the world, of how those issues are being addressed in practice. - Collection of 31 tales span the globe in this anthology of travel writing at its finest. Insightful, inquisitive and inspiring, Greenwald reminds readers of the transformative potential of exploring areas off the beaten path. Readers accompany the author around the world, and it's hard to sit still after reading this book.